Perfect for night fishing, morning runs across the flats or chilly fall days on the river — anytime extra warmth is needed to let you fish in comfort. Tailored from water- and stain-resistant nylon fabric with hydrophobic polyfill insulation that keeps you toasty, even in damp conditions. 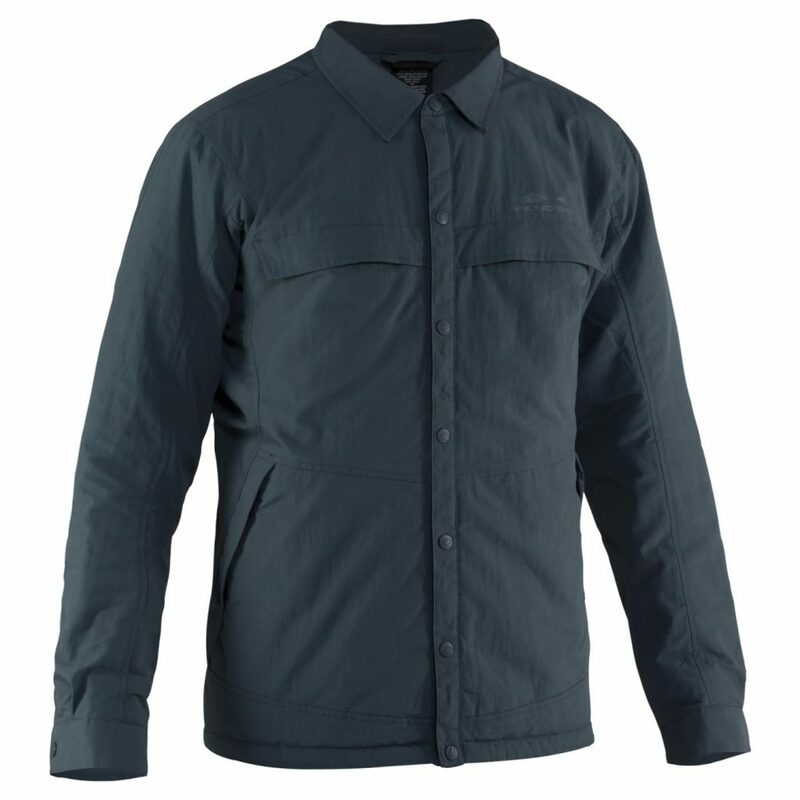 The shirt-like design of Dawn Patrol makes it perfect as a layer in frigid weather, yet it’s equally adept as an outer garment. Features include a full snap-front closure, snap cuffs, an adjustable helm cinch to seal out the chill, plenty of storage pockets and two spacious handwarmer pockets.